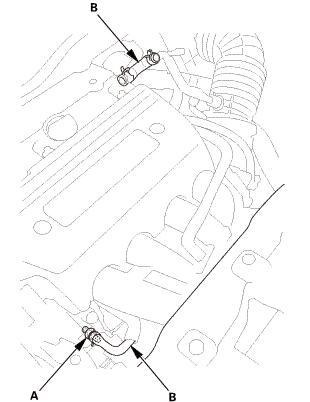 Check the PCV valve (A), hoses (B), and connections for leaks or restrictions. 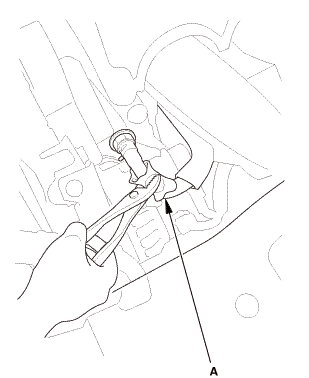 At idle, check for a clicking sound from the PCV valve when the hose between the PCV valve and intake manifold is lightly pinched (A) with your fingers or pliers. If there is no clicking sound, check the PCV valve washer for cracks or damage. If the washer is OK, replace the PCV valve and recheck.